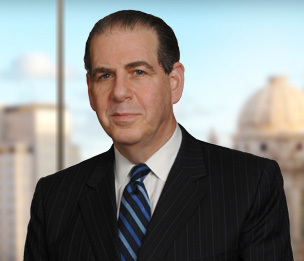 Jonathan S. Feld is the Leader of the Government Investigations and Corporate Compliance Team. He is located in Dykema’s Chicago office as well as the Firm’s Washington, D.C. office. Mr. Feld’s practice focuses on complex civil and criminal matters, including health care, financial antitrust and antibribery actions. He represents companies, directors and officers in investigations and enforcement actions by the U.S. Department of Justice (DOJ), Securities and Exchange Commission (SEC), the Food and Drug Administration (FDA) and other regulatory agencies. Mr. Feld advises corporations, boards of directors and board committees regarding internal investigations, corporate compliance programs and corporate governance issues, including the Foreign Corrupt Practices Act (FCPA) and data privacy. Mr. Feld's work encompasses False Claims Act litigation in a variety of industries including health care and consumer finance. He also represents parties in class actions, arbitrations, and commercial litigation. Mr. Feld served at the DOJ as an Associate Deputy Attorney General. In that role, he oversaw prosecutions from U.S. Attorney's offices nationwide involving a broad array of cases from financial institution fraud to securities matters to environmental prosecutions. He was an Assistant U.S. Attorney for the District of New Jersey, where he concentrated on financial and securities prosecutions and other complex white collar criminal matters. He twice received DOJ Special Achievement awards. Mr. Feld served as Assistant Special Counsel to the Select Commission established by the State of Rhode Island to investigate the collapse of its multibillion dollar privately-insured financial institution system. In addition, he served as an Associate Independent Counsel for the investigation of the U.S. Department of Housing and Urban Development under the direction of the Hon. Arlin Adams. Mr. Feld serves on the Board of Editors for Business Crimes Bulletin, a monthly publication about corporate compliance and investigations. Representation of hospital and health care companies in False Claims Act investigations and settlements. Representation of national mortgage lender in DOJ False Claims Act investigation. Representation of a multinational foreign company in an antitrust investigation and class action litigation. Representation of persons in Congressional investigations and hearings. Representation of persons in FCPA investigations. Representation of manufacturing, health care, technology and financial services companies in internal investigations. Representation of a regulatory director in a criminal FDA prosecution including an off-label marketing violation. Representation of senior officer of an internet company in securities prosecution. Representation of physicians in anti-kickback investigations. "Ten Steps to Minimize Data Privacy and Security Risk and Maximize Compliance"
"D.C. Circuit again protects attorney-client privilege over internal investigation materials"
"Collaboration and boundaries vital for new cybersecurity initiatives"
"Corporate Cooperation: What it Now Means for Companies and Employees"